Charming, furnished holiday apartments full of character. 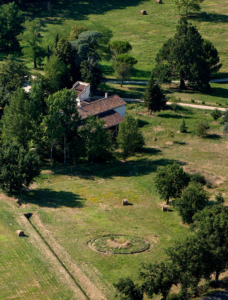 Housed in the manor’s former outbuilding, the charming gîtes “Le Chant du Buc” are surrounded by greenery; ideal for natural and relaxing holidays. Majestic trees and original furniture give these holiday cottages a particular character where one will quickly immerse oneself in this haven of peace. The furnished gîte provides a beautiful view over the surrounding fields, and is situated in the middle of a 19th century partially wooded estate. A 16m private swimming-pool, heated in spring and autumn embellishes the scene.